Tokyo One Piece Tower is an indoor theme park for the popular Japanese manga series, One Piece. It opened on March 13, 2015, inside Tokyo Tower. It offers several games and attractions based on characters of the Straw Hat Crew from One Piece, entertainment shows, merchandise shops and restaurants, and seasonal events and campaigns. The core concept is that the whole park is an island in the New World called Tongari Island (トンガリ島),that the Straw Hat Crew landed on, and they created games and attractions for their fans with the islanders. The island's leader is Tongari Den Den Mushi who frequently appears as the guide in some attractions and the website. Tongari (トンガリ) means "pointed" or "sharp" in Japanese and it refers to the shape of Tokyo Tower. 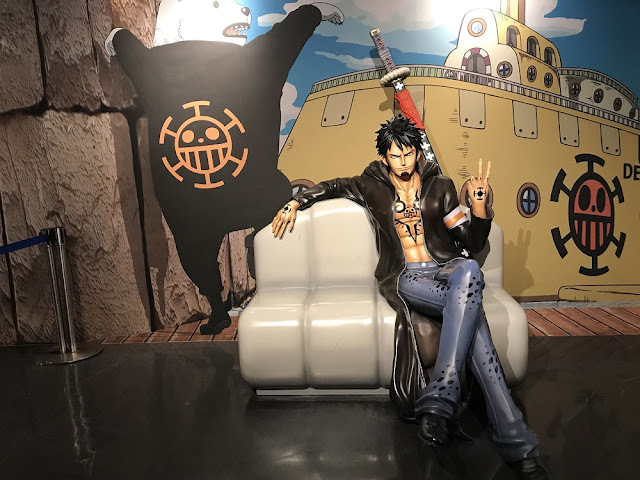 You also can take photos with the Straw Hat Crew.Pose with Trafalgar D. Law statues, take a picture behind bars, or learn the ways of the katana with Zoro. Poses with Trafalgar D law,a handsome doctor .